Job/Research Area: Aquatic conservation, fish and fisheries management, ecohydrology, ecosystem modeling, landscape and spatial ecology, ecological methods, community/population ecology. Major Responsibilities/Research: Aquatic conservation, fish and fisheries management, ecohydrology, ecosystem modeling, landscape and spatial ecology, ecological methods, community/population ecology. My research focuses on freshwater aquatic systems where rates of species imperilment are several times higher than in terrestrial systems, and are comparable to species declines in tropical rain forests and coral reefs. My study organisms tend to relate to the project and question at hand, but I have experience working on several different aquatic taxa including fish (> 30 species), mussels (>20 species), benthic invertebrates and zooplankton. My research interests are focused in three general areas: 1) understanding the mechanisms relating to species loss, especially in relation to anthropogenic disturbance like landuse change (Maitland 2016,2017; ), hydrologic alteration (e.g. Rudolfsen et al. 2018; Veillard et al. 2017), climate change (Pandit et al. 2017; Poesch et al. 2016) and invasive species (Docherty et al. 2017; Ruppert et al. 2017), and their impacts to freshwater ecosystems (e.g. Ruppert et al. 2018); 2) developing better aquatic assessment methods, including functional diversity metrics (Poesch et al. 2009, Walker et al. 2008, Poesch 2015), and models on species habitat and connectivity (Neufeld et al. 2018), and 3) developing methods to improve restoration and reclamation, such as habitat offsets (Ruppert et al. 2018) and poaching (Camaclang et al. 2017). I use a combination of both field and laboratory studies, as well as broad-scale data analyses, to develop research questions fully. My projects span across Canada from: British Columbia, Alberta, Sasketchewan, Northwest Territories and Ontario. 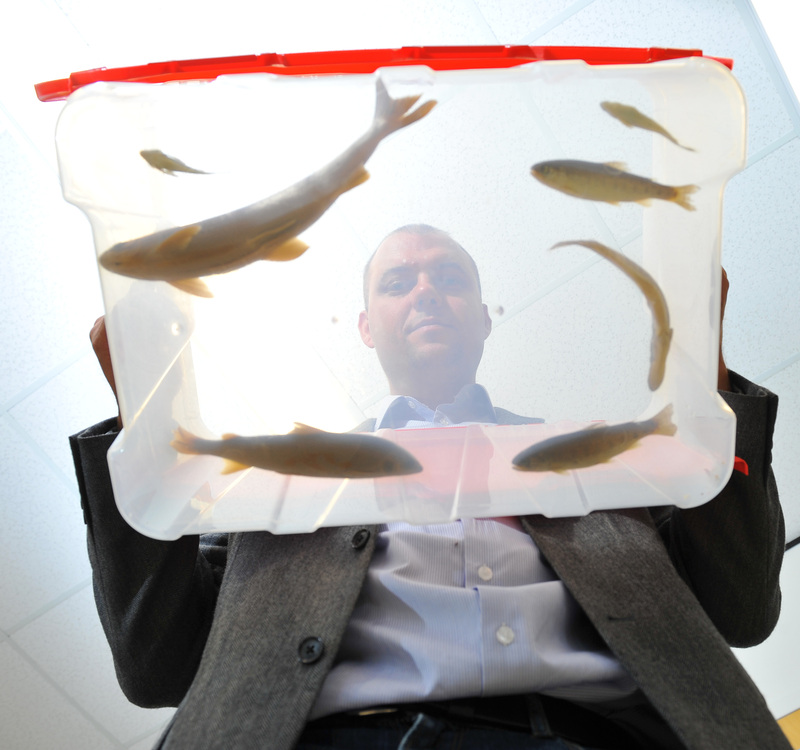 MSc/PhD/PDF opportunities in freshwater fish research. Please email me for more information. PDFs with existing funding (e.g. NSERC) or outstanding undergraduates wishing to conduct undergraduate research (e.g. thesis project), or to apply for NSERC USRA, are encouraged to contact me.